The conference is located on the 3rd floor of the AT&T Conference Center at the Host Hotel. If you are interested in either of the upgraded suites or would like to reserve rooms before or after the conference please email or call the number below so we can assist. 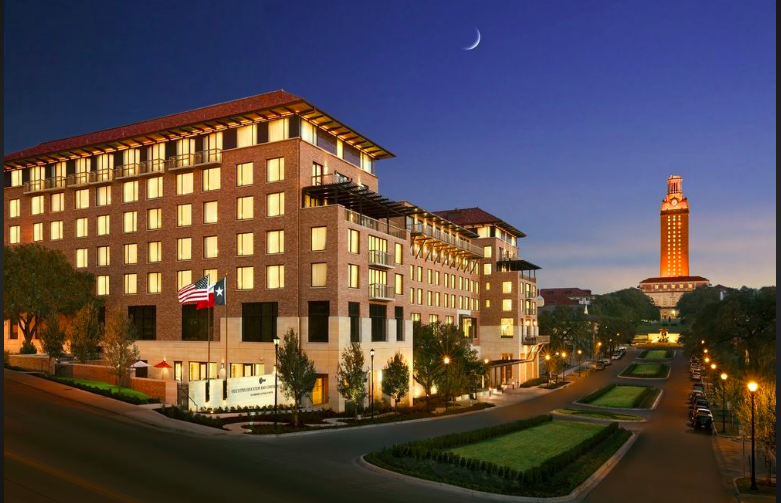 AT&T Hotel & Conference Center at the University of Texas features an outdoor pool and a fitness center. The hotel offers a restaurant, a coffee shop/café, and a snack bar/deli. A bar/lounge is on site where guests can unwind with a drink. Wired and wireless Internet access is complimentary. Business-related amenities at this 4-star property consist of a business center and a meeting room. Event facilities measuring 40000 square feet (3716 square meters) include a conference center. This business-friendly hotel also offers multilingual staff, gift shops/newsstands, and a picnic area. Parking is available onsite for a surcharge. AT&T Hotel & Conference Center at the University of Texas is a smoke-free property.